Victor A. Afanador is a seasoned trial attorney/oral advocate, commercial litigator and negotiator. He manages a litigation practice group representing public and private clients in a wide variety of areas including: employment litigation defense (LAD and CEPA), labor counseling and negotiations, public entity tort liability defense (Title 59), police-related state and federal civil rights defense, constitutional civil rights defense, rent control litigation, federal and state criminal defense, condemnation/redevelopment law and complex commercial litigation. In federal and state jury and bench trials/hearings, Victor has successfully tried to verdict a broad range of civil rights, employment, class action, rent control, redevelopment law and criminal matters. He has often served as an appellate practitioner preparing legal briefs and orally advocating before the New Jersey Supreme Court, the Superior Court of New Jersey, Appellate Division, and the United States Court of Appeals for the Third Circuit Court. His experience provided him with the opportunity to gain significant United States Supreme Court experience in litigating, editing and oral argument preparation in the matter Heffernan v. City of Paterson, 136 S. Ct. 1412 (2016) (A First Amendment Freedom of Association case). All of this aforementioned experience has forged his ability to be assigned to personally represent a myriad of high-ranking public officials in employment discrimination and civil rights related cases. Mr. Afanador has successfully negotiated a number of federal non-prosecution agreements including: a federal criminal non-prosecution agreement for a Spanish speaking client exposed to charges of federal tax fraud and providing false statements to federal agents and for a client exposed to various federal offenses including, false billing statements, embezzlement, and providing false statements to federal agents involving a public entity. He has pepresented habeas petitioners and prosecuted ineffective assistance of counsel claims for convicted clients to the extent of even conducting a four-witness evidentiary hearing before Chief Judge Jose L. Linares, U.S.D.J. Victor has also conducted numerous federal guideline pleas and sentences before the United States District Courts. In addition to his trial work, Victor has applied his investigative skills in the class action area. For example, he interviewed Spanish-speaking employees and prepared a report for the court as part of the firm's responsibilities as class administrator for an employment discrimination class action. Victor’s experience also includes serving as deputy director of law for the City of Perth Amboy from 1999 through 2005. In that capacity, he provided counsel to the mayor, the city council, and city department directors on legal matters. An active alumnus of the Seton Hall School of Law, Victor was elected president of the law school's Alumni Association, the first Latino to hold that position, for the 2011-12 school year. He also coached Seton Hall's Interscholastic Moot Court Teams from 2001 to 2008 and from 2010 to 2011. Several of those teams reached the final rounds of that nationwide competition. Victor was named to the New Jersey Law Journal's 2010 "40 Under 40" list of promising young professionals in the legal community. He has appeared on New Jersey Monthly magazine's list of "Rising Stars" every year from 2006 through 2012. Victor was appointed by the Essex County executive in September of 2005 to serve as a commissioner on the Essex County Board of Public Utilities. He is a member of the New Jersey State Bar Association, the Essex County Bar Association, the Passaic County Bar Association and the Hispanic Bar Association of New Jersey. 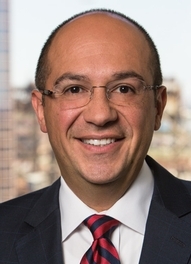 Most notably in 2018 he was selected to serve as Treasurer and executive board member for the Association of the Federal Bar of New Jersey and Co-Chair of the ReNew Committee’s Volunteer Lawyers Program, which organizes law firms and lawyers to serve on a volunteer basis to assist federally convicted individuals in addressing their legal issues while re-entering society after serving prison terms. After earning his law degree, in 1998, Victor clerked for Judges Mathias E. Rodriguez and Frederick P. DeVesa, Superior Court of New Jersey, Law Division Criminal Part, in Middlesex County. Victor is a 2003 graduate of the Leadership Newark Fellowship Program, has served on the board of directors of African Globe Theatreworks (a professional theater company based in Newark, New Jersey), and serves as a member of the board for Aspira, a 501(c)(3) organization dedicated to developing the educational and leadership capacity of Latino youth. He was born and raised in the great City of Newark, NJ, in an under privileged socio-economic environment but he had the firm family foundation that guided him through his educational development. As such, he truly understands and appreciates the struggles of growing up in an inner city with little financial means. He tries to use his professional journey as a foundation for giving back to the greater Newark Community and its law schools by serving as a mentor to many and committing to local educational advancement organizations. Deegan v. Perth Amboy Redevelopment Agency, 374 N.J. Super. 80 (App. Div. 2005) (upholding municipal adoption of redevelopment plan). Victor A. Afanador was a presenter at the NJSBA's Prisoner Reentry Program that focused on the problems faced by those after incarceration. Victor A. Afanador was a speaker at the 2018 Pro Bono Conference held by the New Jersey State Bar Association on October 24, 2018. Victor Afanador was published in the NJ Lawyer Magazine on Diversity in Jury Selection. A PDF of this article, which originally published in the August 2018 issue of New Jersey Lawyer, a publication of the New Jersey State Bar Association, and is reprinted here with permission. Victor A. Afanador co-authored an article in the New Jersey Lawyer titled, "An Introduction to Re-Entry". To read this article, click here. This article was originally published in the October issue of New Jersey Lawyer, a publication of the New Jersey State Bar Association, and is reprinted here with permission. Victor A. Afanador was a speaker at NJSBA's Seminar, "Supplier Diversity in Law" along with Louis Diaz, Esq., from Gibbons, P.C. The two addressed how these programs are implemented, the application procedure, and how these programs level the playing field for small minority and women owned companies (including law firms) to perform work for Fortune 500 companies. To raise a First Amendment retaliation claim, must public employees show they were fired for actually engaging in constitutionally protected activities? LDG scored a win for the City of Hoboken in the Appellate Division on September 1, 2015. Shipyard Associates, L.P. filed three OPRA requests with the City in connection with legislation Hoboken passed in 2013. Hoboken denied all three requests as being overbroad. Shipyard brought a lawsuit against Hoboken which the trial court dismissed in 2014. Yesterday, the Appellate Division largely affirmed the trial court’s decision, finding all three OPRA requests to be impermissibly overbroad, and finding that the lower court was correct in dismissing the OPRA portion of the complaint. Victor A. Afanador is one of the 100 attorneys in New Jersey appointed by the United States District Court for the District of New Jersey to defend individuals pursuant to the Criminal Justice Act Panel (CJA). LDG was recently retained by Jersey City to continue prosecuting this federal lawsuit against the Port Authority of New York and New Jersey (the "Port") . The case is centered around the Port's failure to pay taxes or enter into PILOT ("payments in lieu of taxes") Agreements for properties owned and controlled by the Port within Jersey City. The amount of lost tax payments have hampered the City's tax revue for years. The firm is zealously eager to champion the rights of Jersey City's residents in this matter. Click here to view LDG in the media. Victor A. Afanador was quoted in an article in the New Jersey Law Journal, "Third Circuit Bars Retaliation Suit Over Free-Speech Mix-Up" (January 22, 2015). Click here to view this article. Victor A. Afanador was quoted in an article on Law360.com, “Bridgegate-Inspired NJ Bill Imperils Gov't Employers” (October 31, 2014), which reviewed proposed state legislation that would enhance whistleblower safeguards for government whistleblowers, but could cause an increase in frivolous litigation against public employers. Victor A. Afanador was quoted in an article on Law360.com, “NJ Town's Petition Refusal Was Civil Rights Breach: Court” (July 31, 2014), which reviewed a state Supreme Court ruling on a claim that a municipal clerk had illegally refused the petition of a citizens’ rights group. Victor A. Afanador was quoted in an article on Law360.com, “NJ High Court Tackles Local Referendum Question” (March 31, 2014), which explored a case with the potential to affect the referendum process of municipalities organized under the state’s Faulkner Act. Victor A. Afanador, Bruce D. Greenberg, Susana Cruz Hodge and Danielle Y. Alvarez were mentioned in an article on Law360.com, “Newark Doesn't Have To Cover Cop For Shooting: NJ Court” (July 29, 2013), covering a New Jersey appeals court’s decision that the city of Newark was not required to indemnify a police officer for a $2.8 million civil judgment stemming from an off-duty shooting. Victor A. Afanador and Susana Cruz Hodge were mentioned in an article on Law360.com, “Fraud Law Applies In Rent Charging Row: NJ Appeals Court” (June 25, 2013), which reported on a New Jersey appellate panel’s ruling that a landlord could be sued for overcharges under the state’s Consumer Fraud Act. Victor A. Afanador was mentioned in an article on Law360.com, “NJ Court Says City Clerks Must File Referendum Proposals” (May 29, 2013), which reviewed a state appellate court’s ruling in a case involving a lawsuit against a city clerk who refused to file a petition challenging a rent-control ordinance. Victor A. Afanador was elected as Seton Hall University School of Law's Alumni President for the 2011-12 Law School fiscal year. He is the first Latino to serve as Alumni President. In that capacity, Mr. Afanador will sit on the Law School's Board of Visitors and lead the Council in supporting the needs and interests of the Law School and building strong, lasting relationships with its alumni. Victor A. Afanador, who has coached Seton Hall School of Law teams in American Bar Association National Appellate Advocacy Moot Court Competitions for many years, has had a series of successes with those teams. His 2006, 2007 and 2011 teams all reached the national finals in Chicago. The 2006 team reached the final round, the 2007 team finished in 4th place, and the 2011 team got to the round of 16. Mr. Afanador's teams have also won a number of awards for best brief and best oralist. Seton Hall School of Law Dean Patrick Hobbs publicly recognized Mr. Afanador for his work, and called the results "beyond fantastic." Victor A. Afanador was a panelist at the Third National People of Color Legal Scholarship Conference. His topic was "Diversity in the Profession: The Role of Firms, Corporations and Specialty Bar Associations." Other panelists include Superior Court Judge Hany Mawla. Victor A. Afanador addressed a seminar sponsored by Volunteer Lawyers for Justice (Newark Reentry Legal Services ReLeSe) on the subject of "Municipal Court Practice and Advocacy." Victor A. Afanador was appointed to the Board of Trustees for the Association of the Federal Bar of New Jersey. Victor A. Afanador was named to the transition team for Newark's Mayor Cory Booker. Mr. Afanador was a member of the Real Estate and Land Use Policy Group. Among other things, that Group's mission was to identify important real estate and land use issues to be dealt with in the Mayor's first 100 days, and to develop long-term goals for the areas of redevelopment, real estate and land use in Newark. Victor A. Afanador was featured on the ABC News television program “Tiempo.” The program focused on the Griffin Bridges Scholarship at Seton Hall Preparatory School. Mr. Afanador, himself a graduate of Seton Hall Prep, sits on the Board of the Griffin Bridges Scholarship Program. ¹The Super Lawyers List is issued by Thompson Reuters. A description of the selection methodology can be found at www.superlawyers.com/about/selection_process_detail.html. No aspect of this advertisement has been approved by the Supreme Court of New Jersey. Third Circuit reaffirms that qualified immunity is still alive in a police shooting of a motorist who refused to comply with orders. The tension and debate in America over police practices seem endless these days. But while the American public argues, police officers are still responsible for ensuring the safety of the community at large and their own well-being. Even in situations that result in the death of a suspect prior to arrest, a police officer will be entitled to qualified immunity so long as a plaintiff cannot prove the existence of the violation of a clearly established right. The ultimate injury is inconsequential so long as the officer's actions were proper under the circumstances. In Martin v. City of Newark, 2018 WL 6828424 (3d Cir. Dec. 28, 2018), the United States Court of Appeals for the Third Circuit highlighted this proposition by affirming the District Court's grant of summary judgment. A recent case highlighted the issue of whether a lawyer could respond to a juror who sought to solicit a conversation on why the jury decided the way it did in a case the lawyer had tried. Montone v. City of Jersey City, 2018 WL 3377158 (D.N.J. July 11, 2018). The lawyer asked the court's permission to respond in order to ask whether the jury deliberation process had been tainted. The lawyer attempted to equate the potential conversation with the juror with a typical communication that could be had at a coffee shop. In Hazel Hamrick Lee v. Florence Brown, et al., decided earlier this week, the New Jersey Supreme Court held that a public employee and his employer, the City of Paterson ("the City"), were both entitled to absolute immunity pursuant to N.J.S.A. 59:3-5. The Court decided that pursuant to its previous holding in Bombace v. City of Newark, 125 N.J. 361 (1991), the City's electrical inspector was entitled to absolute immunity when he failed to enforce a law, which according to the Court, triggered the absolute immunity provided in N.J.S.A. 59:3-5. The Court reviewed the facts and determined that despite an ensuing fire that claimed four lives, and the electrical inspector's issuance of: (1) a "Notice of Violation and Order to Terminate" electrical service; and (2) a "Notice and Order of Penalty," his actions, or lack thereof, justified the absolute immunity imbedded within N.J.S.A. 59:3-5, as opposed to a good faith qualified immunity. The federal criminal client you represent was just convicted after a guilty plea or a trial. Up until this point you have conducted client interviews to try and understand the facts of the case and the circumstances that led to your client's criminal case. It's likely that you have explored your client's personal and family background, but do you really know her/him? Have you cared enough to dig a little deeper to try and discover the individual behind the criminal charges? Understanding and familiarizing yourself with that individual is crucial at this point, since your client will likely be facing an important interview with a federal probation officer. Cases under the New Jersey Law Against Discrimination ("NJLAD") implicate a dizzying number of legal and factual wrinkles-- direct evidence of discrimination, circumstantial evidence of discrimination, the "Jansen test," whether there is a prima facie case or pretext to retaliation, and the great burden shift embedded within the "McDonnell-Douglas test"— hurdles that must be cleared before an NJLAD case can get to a jury. Employment cases are factually driven but the facts can never directly dictate the outcome. Thus, the courts, as gatekeepers of what should be presented to a jury, evaluate the legal framework and determine if the facts satisfy the legal tests so as to justify presentation of the case to a jury. Will the New Jersey Courts Start to Rein in the Wild West of First Amendment Civil Rights Jurisprudence as it applies to the New Jersey Civil Rights Act? In Heffernan v. City of Paterson, 136 S. Ct. 1412 (2016), the United States Supreme Court held that a plaintiff can maintain a 42 U.S.C.§ 1983 action against his employer based upon the employer's mistaken perception that the plaintiff was exercising his First Amendment right to association. The Court found that a public employee can have a First Amendment right notwithstanding the employee's admission that he did not engage in any speech nor associate with anyone in any political campaign. Id. The Court held "the government's reason for demoting Heffernan is what counts here." Id. at 1418. Whether the employee triggered the civil right at issue was not the focal point of the Court's analysis. Can Qualified Immunity Strike the Balance with 42 U.S.C. § 1983's Chilling Effect on Public Safety? 42 U.S.C. §1983, the Civil Rights Act, is the vehicle for championing civil rights. It is a means to protect individuals against constitutional violations by those acting under the color of law. See Monroe v. Pape, U.S. 167, 172 (1960). Now, some may say that it serves as the vehicle for chilling a police officer's call to preserve the security of the public at large. Today, more than ever, there is a need to increase security, but at what cost to our civil rights? In a world full of racial animosity, threats of terrorism, increased police excessive force and civil rights filings, what will the future hold? Mathis v. United States, 579 U. S. ____ (2016), may serve as one of the biggest federal sentencing decisions of last year's Supreme Court term. This decision, along with the United States Sentencing Commission's ("USSC") most recent report to Congress, shows a change in the analysis of federal sentencing trends for "career offenders." There may be a movement to change many career offender sentencing enhancements and even retool sentencing for drug based trafficking offenses. This change in the direction of the wind could neutralize many career criminal federal sentencing weapons used by federal prosecutors. The Court Just Dismissed My Federal Civil Rights Lawsuit, So Now I'll Refile the Same Case Under the New Jersey Civil Rights Act – NOT So Fast! The Appellate Division recently ruled that a civil rights plaintiff cannot get two bites at the same apple. In Paszkowski v. Roxbury Township Police Department, A-1169-14T1 (decided on May 25, 2016), the plaintiff brought a federal action against a public entity alleging violations of 42 U.S.C. § 1983 ("Section 1983") and the New Jersey Civil Rights Act ("NJCRA"). The District Court granted the defense's motion to dismiss and held that the federal complaint failed to plead facts establishing a federal constitutional violation. Specifically, the District Court held that the defendant was entitled to qualified immunity. I was a member of the Interscholastic Moot Court Board while I was a student at Seton Hall Law, and I competed in three moot court competitions during that time. Moot Court enables students to compete against other schools to learn how to present issues and mock arguments before panels of practitioners and real judges. The students get scored on their performance. Through Moot Court, we learned the essential skill of presenting our case, speaking persuasively and clearly before an appellate panel. The process involves getting questions from professors and practitioners, who probe the issue that the students are to present before the mock appellate panel. Whether you are petitioning for certiorari or opposing the writ, you may be lucky (or unlucky) enough to find yourself in the hallowed halls of the United States Supreme Court. I am blessed to have recently taken this journey as counsel of record in a case that I litigated (please see my the blog of my law partner, Bruce D. Greenberg, Esq., on all the legal action: http://appellatelaw-nj.com/an-ldg-case-is-argued-in-the-united-states-supreme-court). I would like to pass along some helpful hints to those that may find themselves on a similar passage for the first time, and point to some wonderful resources that may aid you in understanding how to navigate these legal waters. In this current economy, public entities are forced to do more with less and carefully watch the their coffers. Public entities are required to provide basic protective, maintenance and regulatory services for their communities while struggling to pay increasing employee salaries, fund pensions, manage a diminishing tax ratable base, and defend a myriad of lawsuits, all while taxpayers are demanding lower taxes. After all these years, let's get back to Moot Court! So each year around this time I get drafted by the Director/Professor in charge of the Seton Hall University School of Law's Interscholastic Moot Court program to "coach" a competing moot court team. The position is more akin to a hands-on clinical adjunct professor position. I am assigned a few students and, along with a co-coach or the director of the program, we assist the students in crafting their oral arguments and in preparing answers to judges' questions for a Moot Court competition against other law schools across the country. Despite a busy schedule and a clamoring of "no time for this," I find myself year in and year out committing to the endeavor. Why?